Meredith Plays: Imaginative and Creative Play for Parents and Children, and a MOLUK Giveaway!! Imaginative and Creative Play for Parents and Children, and a MOLUK Giveaway!! 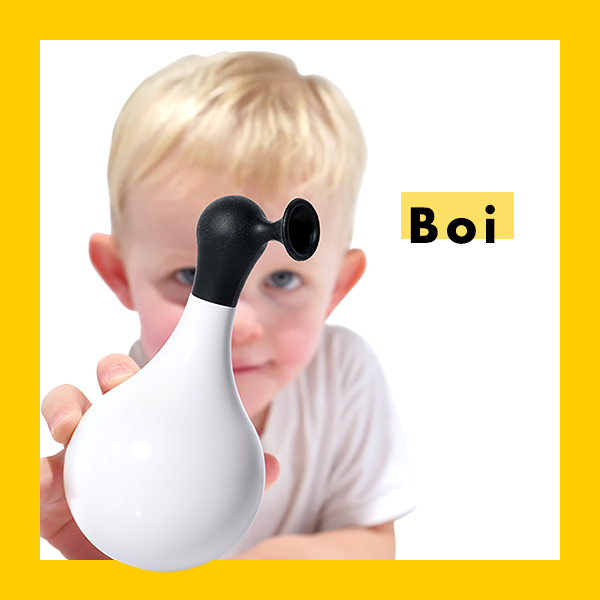 As an educator, play expert, and parent, I’ve tested and shared many toys and games on my site and on television over the last 20 years. I’ve witnessed over and over again is that the old adage is indeed true. Children often have the most fun with the big cardboard box rather than the predictable, one-trick-pony of a toy that’s inside. In my preschool classroom, the best playthings were items such as a basket of colorful scarves, the water table filled with rice or beans with all sorts of utensils thrown inside, cardboard tubes, and toys that are widely open-ended and imagination-driven! MOLUK is a beautiful Swiss brand that has consciously designed each of their playthings to allow a child’s imagination to creatively lead the way. 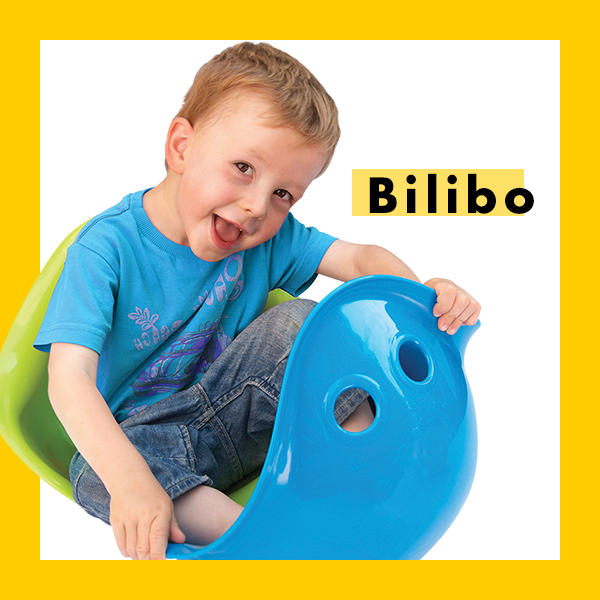 Their multiple award-winning “Bilibo” is widely regarded as one of the most innovative toys for kids, and it’s often spotted in early childhood classrooms…for good reason. In honor of imaginative and creative play for all, this month I’m partnering with MOLUK to give away prize packs of 3 of their most popular toys! 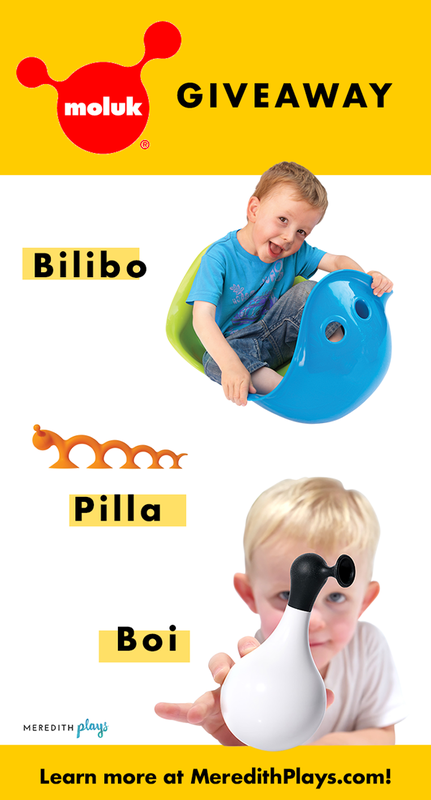 Two winners will receive a Bilibo, their super popular Oogi Pilla, and an Oogi Boi! Check out all the details about each item below. Simply comment on this post to be entered to win! I’ll be choosing two winners on October 1, and announcing it here and on Instagram @Meredithplays! For an extra entry, follow me on Instagram and join the fun there too!